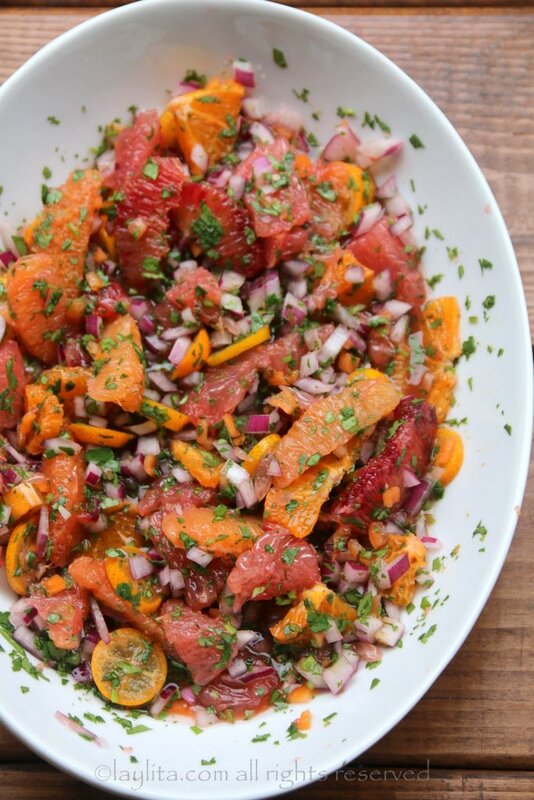 This citrus habanero salsa is made with a variety of citrus fruits: oranges, grapefruit, blood orange, mandarins or tangerines, and kumquats. 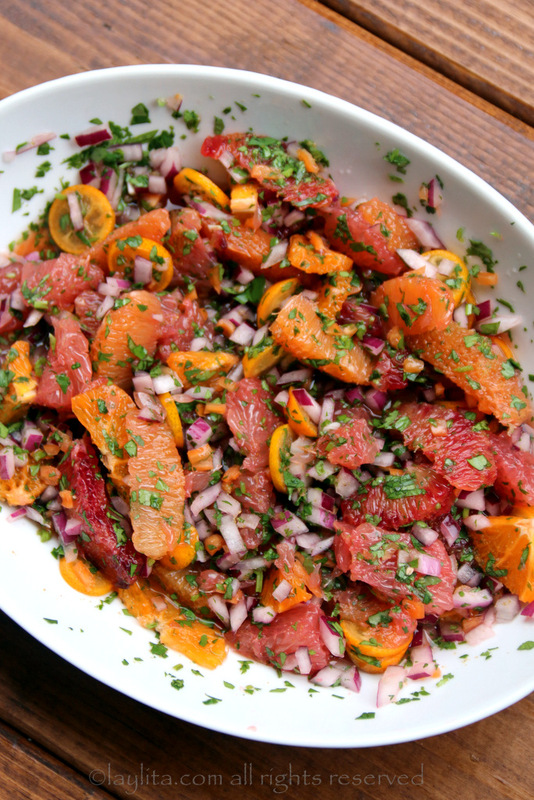 This chunky citrus salsa also has habanero peppers, diced red onion, ground cumin and chopped cilantro. 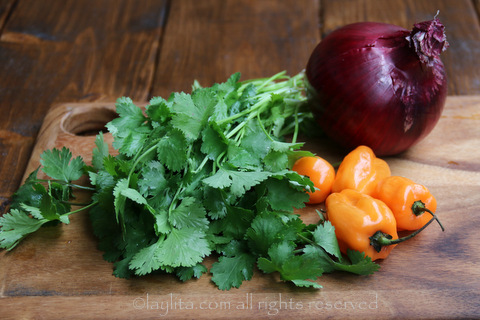 This is a great salsa to make during the colder months when all these yummy citrus fruits are in season. Also, don’t let the idea of using habaneros scare you, most of their heat is in the veins (and the seeds since they’re attached to the veins). If you remove the seeds and veins, and use gloves to do so, the habanero will still be spicy, but significantly less. 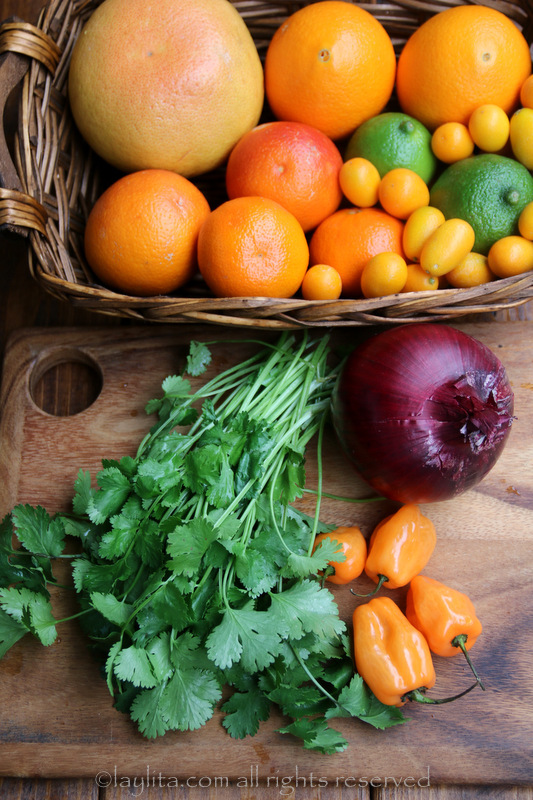 Habaneros have a delicious flavor that goes great with citrus. 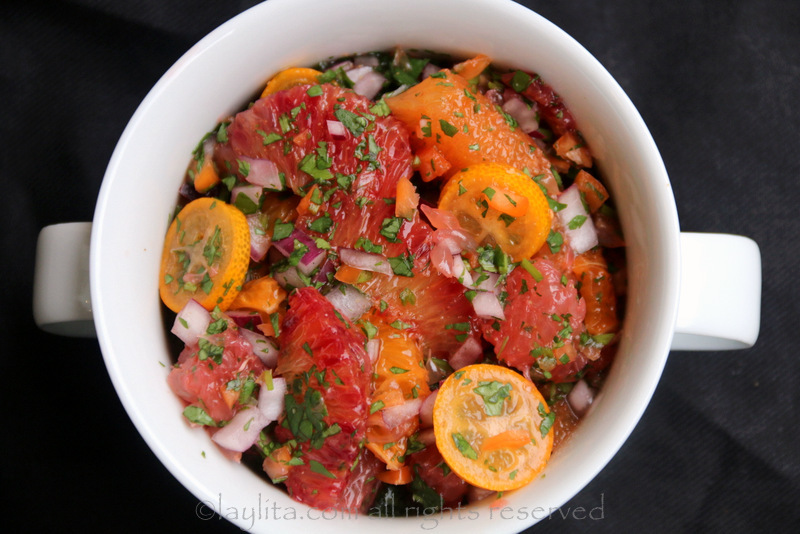 I used about 2-3 peppers for this citrus salsa, but you can adjust based on your comfort level with spice. You can also use different chili peppers if you can’t find habaneros. 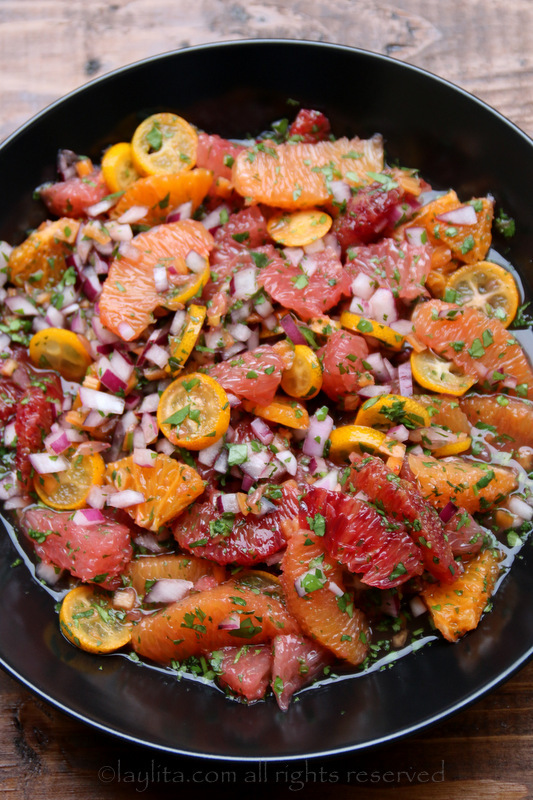 Citrus habanero salsa made with a selection of citrus fruits, including oranges, grapefruit, blood orange, mandarins, kumquats, as well as habanero peppers, red onion, lime juice, cilantro, and cumin. 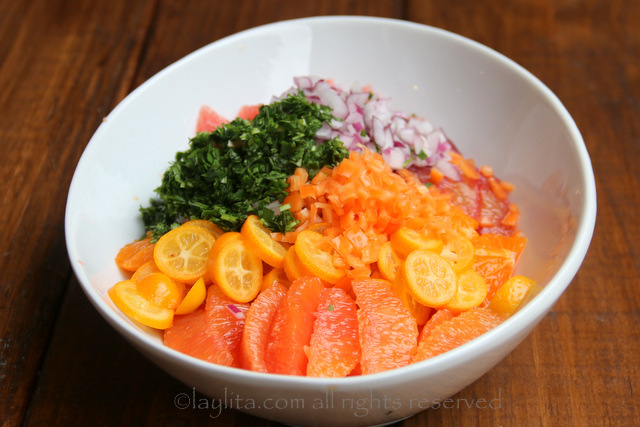 Combine all the ingredients in a bowl and mix well. Taste and adjust cumin/salt to taste. For best results, let it marinate for at least 30 minutes before serving. 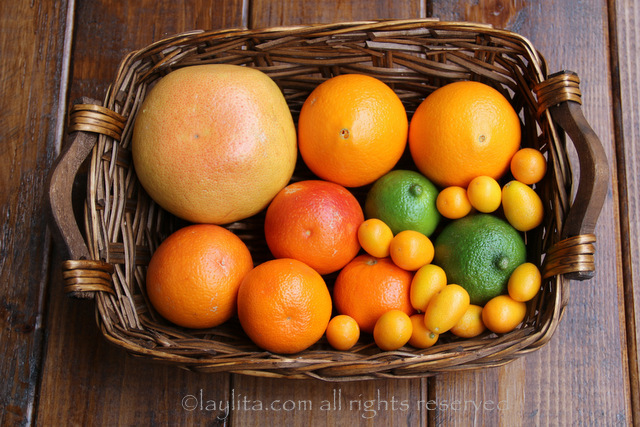 You can also adjust the types of citrus fruits in the recipe based on what you can find and also what you like. 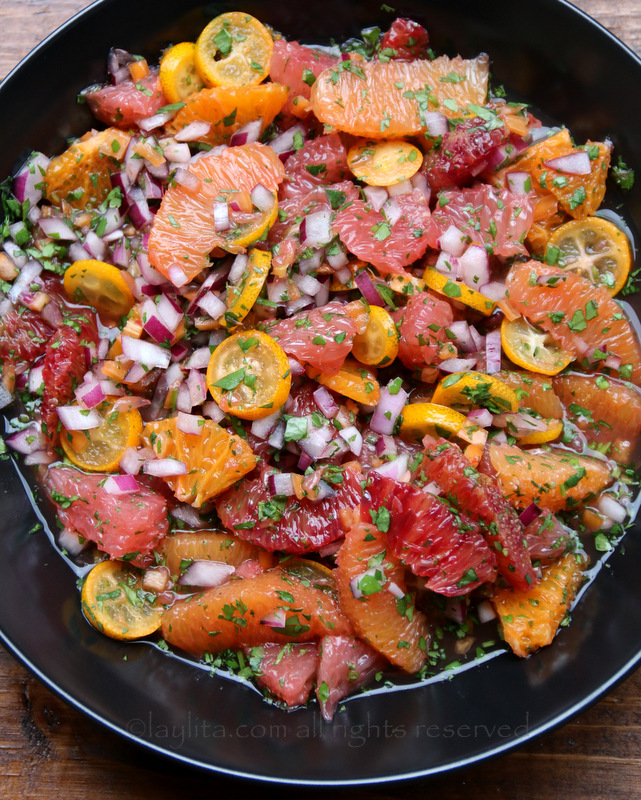 The grapefruit does add a hint of bitterness to the salsa, which I really like, but if you don’t like that citrusy bitterness then you might replace the grapefruit with another orange or an orange plus a mandarin. 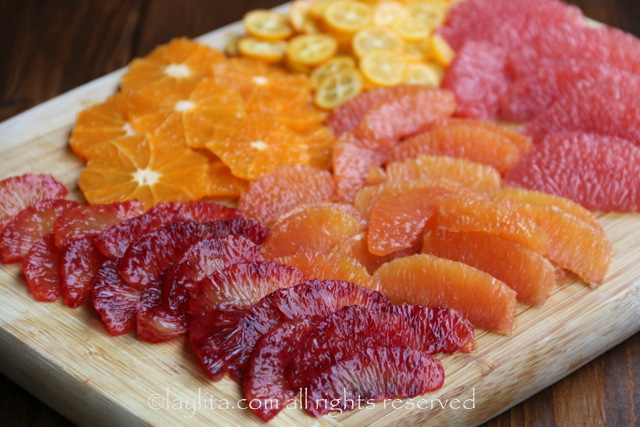 I peeled all the citrus except for the kumquats – their skin in very thin. 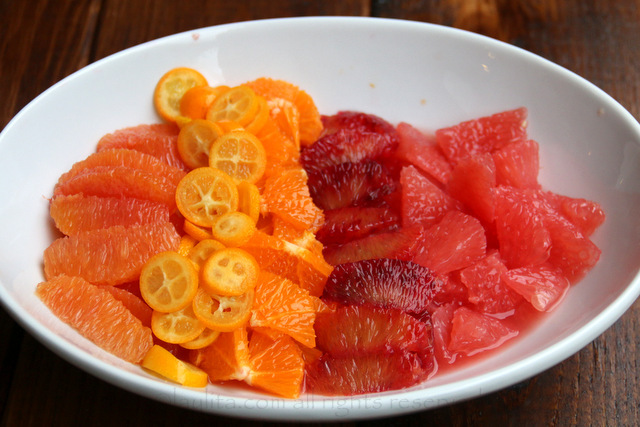 I cut the oranges and grapefruit into supreme style segments since it makes them easier to eat this way. 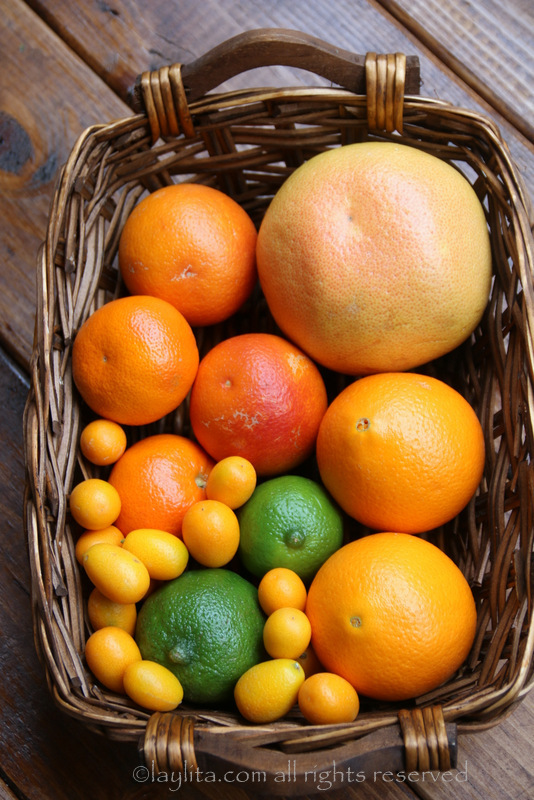 The mandarins can be peeled and sliced or cut into small pieces. You can do the same, or segment them all. 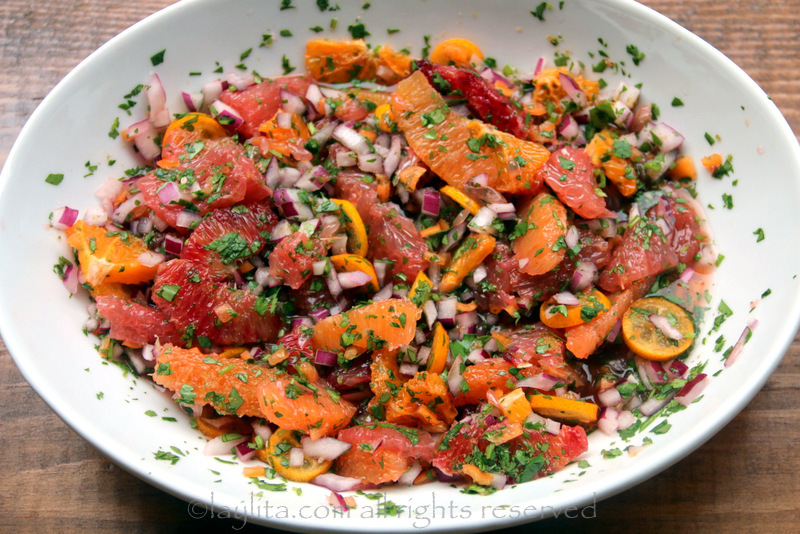 This habanero citrus salsa is perfect with seafood; I served it with grilled rockfish. 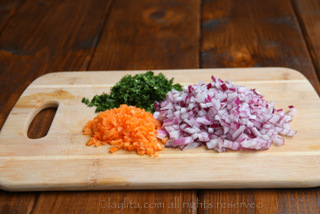 I also mixed some with simple guacamole for a quick citrus guacamole dip. 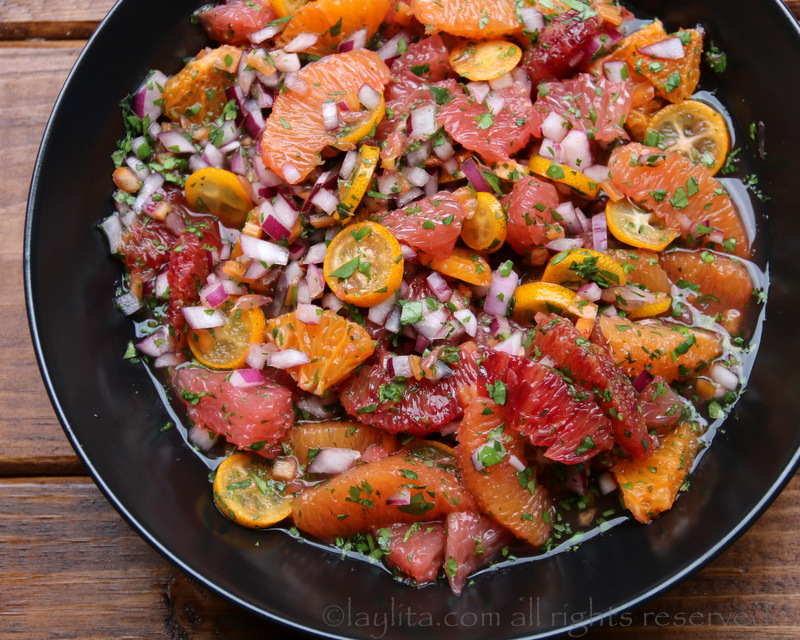 I love salsa and I love citrus and I can’t wait to try this. 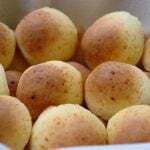 My favorite part? The beautiful pictures! I like being able to SEE how things are put together so this is perfect for me. Looking forward to checking out more goodies from you. Another hit! This salsa is great! 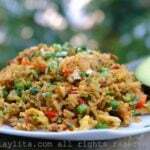 It’s a gloomy rainy day here in Southern Cali and this dish is beautiful and it really brightened our lunch! 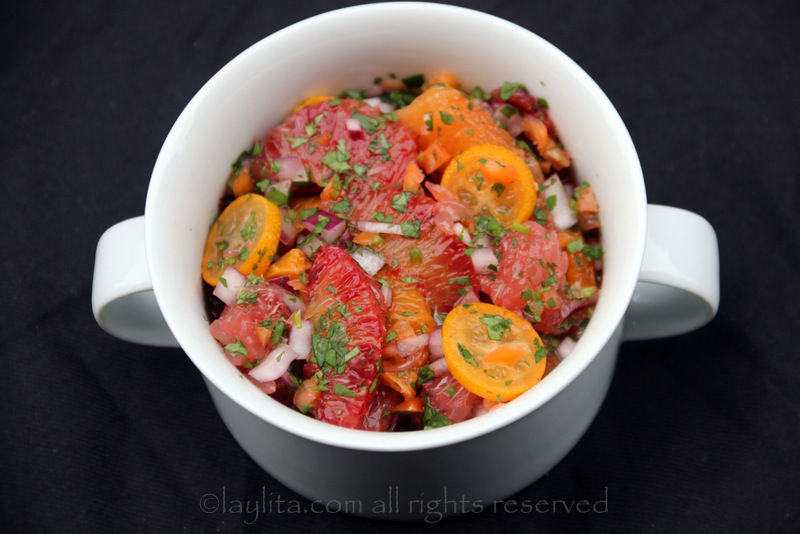 The taste is like a fruit ceviche, the combo of flavors is different and tasty. Thanks for supplying another hit!